This was very interesting! I have Pectus excavatum. But not the extreme case the internet/google shows- LOL! Its kind of the opposite problem you have. Not very noticeable once I developed breasts other than it separates my breasts more. I never thought about how that would fit into my inability to find a good fitting bra! You have enlightened me! Thank You! Your solutions to solve your construction are genius!! Plus what awesome bras!! Thanks, Eliz! Pectus excavatum would definitely cause bra fitting problems too. I hope you find something that works for you! What bralette pattern are you working with? That’s a definite hole in my wardrobe that I’ve been wanting to fill for a long time, but being large-busted, I’ve struggled with even finding a reasonable starting point. I’ve decided to just draft my own. I’ll share how I did it if it works out okay. Lol. I didn’t realize I had it until I started reading the description of how bras fit you. Wow. It’s actually a lot more common than people realize! Holy smokes this was informative! I’ve always known my sternum and chest were different , but never thought to associate with the bridge never fitting flat. 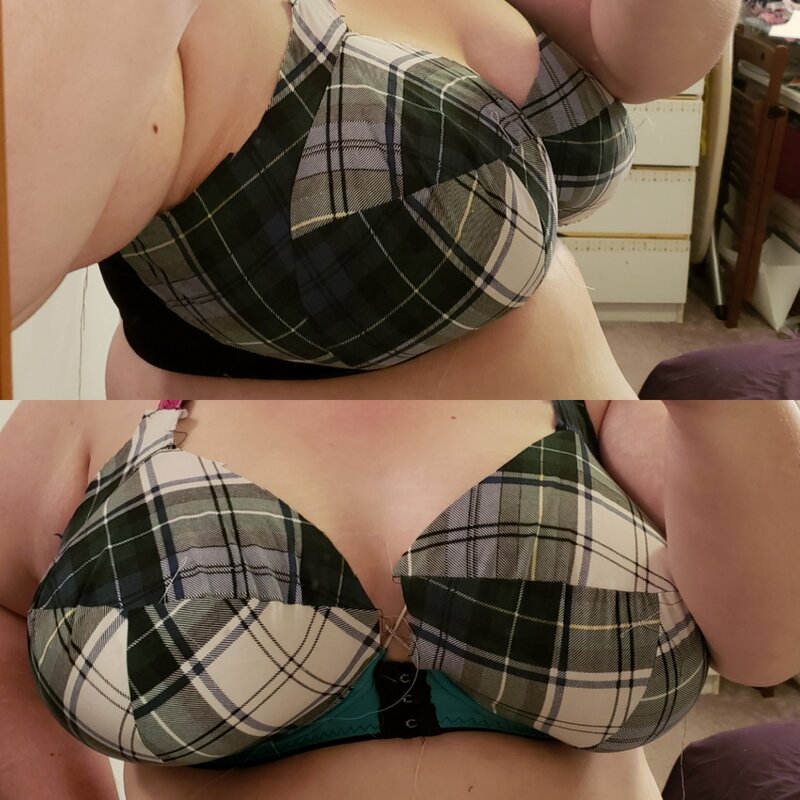 I would read how a proper fitting bra should should fit flat against the chest, but in the approximately 45 yrs of bra wearing that never happened so I just went with close enough. I find this answers a huge puzzle for me. 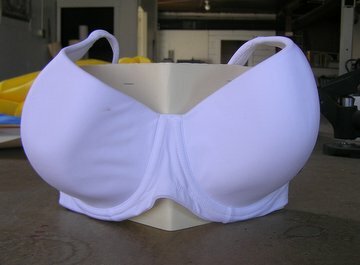 Just recently became interested in bra making thanks to you. Now I’m really inspired! Thank you! Andie, you are just so brilliant! I don’t have what you’ve described (well I don’t think so) but…. 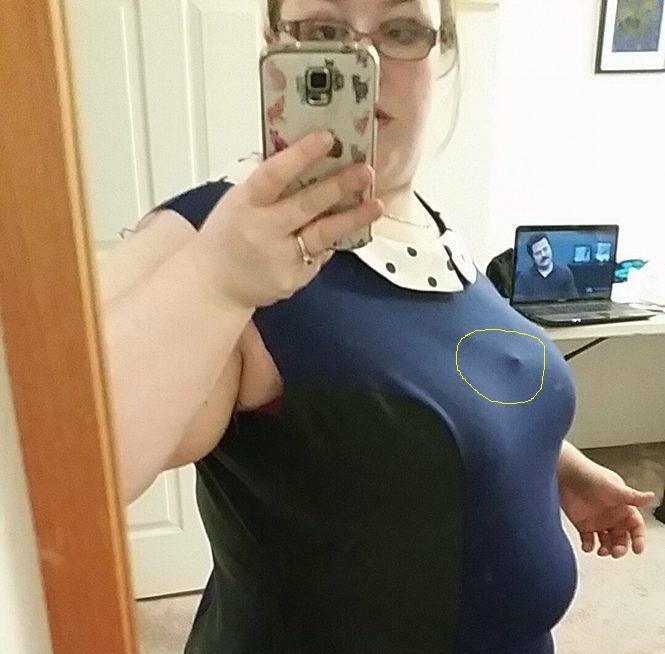 I have huge problems with bras fitting in the right places, despite being professionally measured. The front doesn’t lie flat to my chest, getting worse since tremendous weight loss. Straps fall off or dig in and if not leaving welts round my body then my bras pop open. After reading what you’ve written I’m going to talk to my doctor about these problems and I’m not going to be fobbed off. Having had large breasts for what feels like my whole life. Age 12 22″ waist and 36 D breasts and now 61 and 42DD – 46 D it’s time to get sorted. Thanks, Lucy. Bra fitting is a tough thing, especially when you factor in weight fluctuations and chronic illnesses. I hope you find a good fit in bras. There is also nothing wrong with going with a soft bra or without. There is often a lot of stigma against that, but honestly if it is between comfort and discomfort….comfort wins every time. This is why we sew! Your star bra looks great, and it fits so well! I know you have tweaks to make, but that front band looks excellent! Reading your description of your rib cage shape, I could almost feel the discomfort of an ill fitting bra, I’m sure it’s a great feeling physically and mentally to have a good fit – happy lingerie sewing! Bras bras bras…. you are an inspiration. I’ve been thinking about trying a front closure bra. Do you think it supports as well and is it more or less comfortable? Putting a closure in the back as well to adjust width is genius! Smarty pants! Have you tried front closure without wires? I love the look of bras that have underwires but haven’t found a size that doesn’t dig in my high belly and poke into my underarms when I sit down, sooooo uncomfortable. Front closure definitely supports as well. Of course that is dependent on the structure of your bra. Sometimes it doesn’t work as well, but you just have to tweak things a bit. I’ve also made a bralette with front closure. It is less secure, but that is due to the fit on the bralette more so. Ouch, underwires sound uncomfortable for you. 😦 You may be wearing the wrong size (especially height-wise if they poke into your underarms).